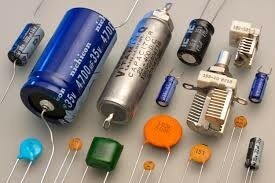 There are many different types of capacitors from Electrolytic, polyester, metal film, mylar, etc. Each type serve its own purpose. One issue that I have seen come up time and time again is about signal capacitors outer foil and if it makes a difference which direction they are places in the circuit. I have read more than my fair share of articles and watched a number of videos talking about this very subject. Being an amp builder, I strive to achieve the best attainable performance in my builds and consider every aspect that goes into building a top quality guitar amplifier. With decades of experience, I have come across a lot of "Snake Oil" information stating this or that will produce better tone, sound, harmonics, etc and I'm sure most of you have heard a few tales hear and there as well. After reviewing multiple articles and videos, I decided to conduct my own tests concerning capacitor orientation and if it really makes a difference. One video went into great detail showing how the orientation did produce a difference in stray signal output and the person hosting the video even build a small box for testing capacitors for this very purpose. I tested this process myself and did find that certain capacitors did produce a slightly larger noise output when orientated backwards and some showed no change at all. At first, I thought "WOW" I didn't realize that it made a difference but then my brain started churning on some of the aspects on how the tests were made. So i decided to do a more practical test involving conditions that would exist inside an amp. So after setting up the capacitor I placed a 6.3 volt heater wire with 3 amps flowing through it both parallel and across the capacitor and made my measurements. To my amazement, there was no change in signal noise output from either side even when I pressed the wire to the capacitor. I did this test with pretty much every type of capacitor I had available, Polyester, mylar, metal film, polypropylene and even an electrolytic. None of them showed any difference in orientation. The original test was conducted by squeezing the capacitor with your fingers and then reading the output. This method did introduce a difference in the output but this is an unreal situation that could not happen in an actual amp. (unless you like to touch live parts inside an amp while playing). Having a live heater wire lay directly across and parallel to the capacitor is in my opinion the worst case scenario in any amp and my tests concluded that there was no difference in the signal output. I'm sure there are people that will go to the worlds end and back to employ all possible measures to achieve the best sound quality in their amps. Going the extra mile to make sure the capacitor is installed properly is obviously not going to hurt the sound quality but from my conclusions it won't hurt either. For me there are so many other aspects that can determine an amps sound quality other than signal capacitor orientation that I don't concern myself with it at all. Its not my intention to disprove anyone about their conclusion since there were scenarios where the orientation had an effect on signal noise but for me this effect was created by unrealistic conditions that would not exist inside an amp. I'm sure there will be more articles and discussions on this subject but for me a capacitors orientation has negligible effect on noise. Again taking the extra step in determining orientation won't hurt but for me, sprinkling fairy dust on the amp would improve performance more than making sure capacitor orientation in correct. Just my two cents.